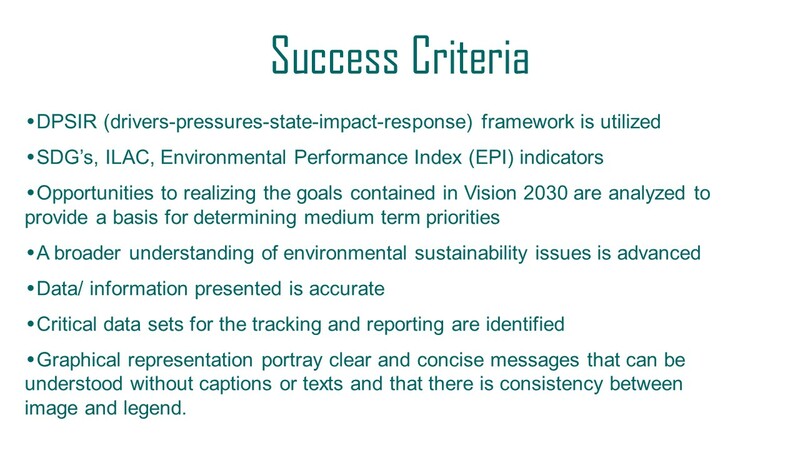 Success criteria NEPA will use to guide development of the 2017 State of Environment Report. 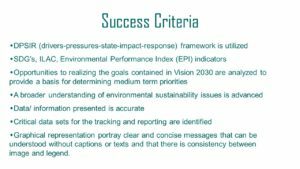 NEPA has contracted ESSA to collate and evaluate the quality of available environmental data, and use these data to generate a standardized set of environmental indicators to track trends in Jamaica and as a basis to benchmark Jamaica’s performance with international peers. In preparing the SOE report ESSA will apply the internationally-accepted Drivers-Pressures-State-Impact-Response (DPSIR) framework, which examines the inter-relationship between people and nature. ESSA is proud to support NEPA in its mission to ensure transparency, accountability and accessibility in environmental reporting. Check out the news release about this important work from the Government of Jamaica: click HERE.